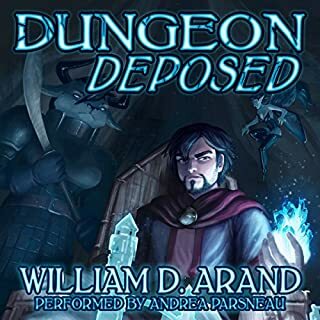 First, an update, since no one who left a review complaining of it has done so: The audio file is intact, not corrupt and contains the full contents of the book. I will assume either there was a download problem, or an issue with the hosted file that has since been corrected. 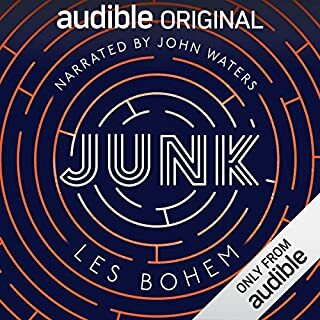 James Marsters has quickly become my favorite Audible narrator. He nimbly performs a wide cast of characters with many distinct voices, many of which are magical, evil or demons - I wonder how many throat lozenges he goes through a book. This is no dry reading, but a one-man show - mostly spent as Harry Dresden the droll, wise-cracking and sympathetic hero. The pop culture references sometimes get laid on a little thickly, but they serve to ground Harry in the world as we know it, while he moves equally easily through the fantasy around him. He is a magical Everyman in a world of intrigue among the heavy hitters of the supernatural world. 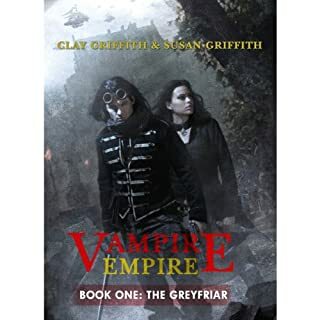 He is increasingly distrustful of his fellow Wizards, targeted by ticked off vampires, training his new apprentice, worried about his brother the White Court vampire's secretive behavior, while he tries to track down the murderer staging the suicides of local women. Did I mention the fallen angel in his head trying to corrupt him? I love these books - There is both lighthearted humor, and darker drama - the characters are never just 'one thing' they all develop into multifaceted personalities and their relationships with Harry keep every book interesting. With every book Harry seems to pick up a new friend to add to the close knit crew who follow from book to book and add to the depth of the underlying story in the series. First, let me say that I was turned on to the hard copy books initially and loved the series from the start. Then I started travelling more for work and was nervous about having them in audio format starting with book # 8. No need to worry, it was even better than I could have hoped for. James Marsters does a GREAT job of bringing the story and people to life. His intonations, laughs and accents really help to make this an exciting listen. I have actually found myself driving around the block of my customers locations a few times just to get to the end of a chapter for a stopping point. Just like a book you can't put down. I strongly suggest you start with the books in order, now that they are available, to help understand the story development fully. It is good to watch Harry Dresden grow from the beginning and know where the other players come in at and get the background foundation. I am now up to book # 11 and they just keep getting better. I rate these books as 5 stars due to the story line and the excellent narration. Well done! There is just something exceptional and magnificent about White Night. Harry Dresden is an Urban Wizard who meets fantastic creatures and has the most mind-blowing adventures that anyone can have in modern (the sci-fi/fantasy version) Chicago. Harry’s story unfolds in the first-person and usually encompasses an epic grandeur in its scale. White Night is no different. He is a complicated character with many layers to his personality. When you encounter him in White Night you find that you want to find out exactly who he is. There is always something new to learn or experience about him. You know that he is a good person but finding out the many layers of “who” he is becomes more complicated. He is generally for the underdog, the down trodden, and of course there is a soft spot, (or achilles heel), for all women. In White Night we also encounter more of the love he has for his half demon brother, Thomas Raith, and the love his half demon brother has for him. We first met Thomas Raith in Grave Peril, even though we did not yet know that he was related to Harry. The story of Harry and Thomas is captivating. Harry has felt a special kind of loneliness believing himself to have no family until Thomas reveals their shared heritage in Blood Rites. Their story continues here. The fact that they both struggle to know each other and love each other adds a depth to each of their characters that enthralls the reader. It also gives a breadth and depth to both Harry and Thomas that we have not seen previously. It raises the questions in our own lives, if Harry can love his half-demon brother, Thomas, can we not expand our own capacity for love in our own existences. One sighs in relief along with Harry after experiencing this scene.In the entanglement between Harry and Thomas, we see shades of Wuthering Heights, both Harry and Thomas mirror the best and the conflicted in each other and in us. 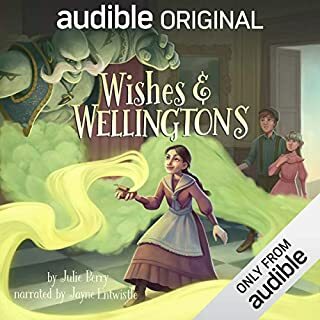 The new characters introduced are interesting but they are not as fascinating as witnessing the further character development of old friends like Karrin Murphy, Mouse, Thomas Raith, Carlos Ramirez, Molly Carpenter and Bob (the skull), if you follow this series. We even come to appreciate Mouse more. Mouse is Harry’s adopted Temple Dog with Foo dog ancestry and has special powers who works at looking like a "regular canine." We first met Mouse in Blood Rites. Mouse does a great deal to keep Harry and those around him safe. In White Night Mouse gains a canine admirer, Toto, a small dog who belongs to Abbey, a new and minor character in this novel. This lends comic relief since Toto in, miniature, is always trying to imitate Mouse. The comic relief is beneficial since in White Night there is death all around, treachery, and a dastardly plot to kill off, serially, the unattached female magical practitioners of Chicago and perhaps the world. Once again, Harry, and company must stand in the breach between good and evil. He must take the fight for the protection, shelter, and security of those in need to the Conclave of the White Court of Vampires. There the cause is won, just barely, in a magical duel to the death. White Night is fast paced with moments of heart stopping action. It is simply magnificent. The pros are lyrical. If you follow the series, you welcome back Karrin, Molly, Mouse, Ramirez, and Bob like old friends. James Marsters has grown with the series. In White Night he gives a near flawless performance that continues to breathe life and drama into our most cherished characters. I highly recommend White Night and the series. I love the Dresden world, I love the Chicago of his dreams and nightmares, the people and creatures who inhabit it, and I love Harry and his flaws and foibles and victories. Jim Butcher must be one of the most positive writers on the planet. He's forever finding something interesting and worthwhile in underworld lords, demons, succubi, and anyone else who has blown it bigtime. His stories have an undercurrent of redemption and hope and I find myself smiling whenever I think of these novels with their graphic violence, murder, and mayhem as being feel-good! But the books take moments to ponder philosophical ideas and complicated problems of pain and suffering and true love and beauty and elevate the standard noir material to something deeper and thoughtful. I love that. I very occasionally get tired of Harry's drollery when it's in an improbably precarious predicament, and I personally get tired of the drawn out battle scenes, in the same way I do when I watch LOTR or any action film. But those are minor quibbles to a series of characters and events I find appealing and compelling. This book in particular was one of the best of six books I've read so far. And I've read them out of order which while probably not ideal, hasn't diminished my enjoyment of the series and only vary rarely do I find myself confused by plot because Butcher does a good job of keeping readers up to speed on important history and backdrops. I've never been much interested in Chicago until I picked up this series! I would recommend White Night as one of the funnest Dresden books so far. I loved all the humor...my favorite lines coming at his entrance to the White Court gathering. When you listen to that part you will totally know what I mean:) As usual Marsters voice makes Harry bigger than life. I have a friend who has just read the books and I turned my audio book on and she agreed that the Harry in her head sounds just like Marsters. These books keep getting better and better. As long as Marsters continues to narrate the books I will definately keep listening to what happens next in Harry's life. I avoid giving much in the way of plot in these reviews in order to avoid spoiilers. That being said there is a major reveal in this one and a lot of beefing up on Harry's backstory prior to the series. Also, some of the consequences of Harry's previous adventures start to come home to roost in this one. The author's writing continues to improve. You can't go wrong with this one. 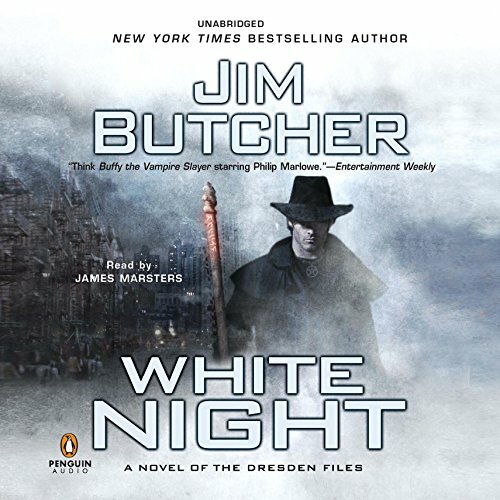 Another very good installment in the Dresden Files series. I love that the characters keep growing and that Butcher doesn't make the choices easy or trite. This book opened up some new plot points for the series, and stayed compelling, action-packed, and very "real" to human emotions. Thomas and Harry's relationship and dynamic is the main focus in this one, and it is a compelling change from the Harry/Murphy emphasis in previous books. I liked that Harry has more than one source of emotional support. I particularly liked the interaction between Harry and his apprentice Molly in this one. Not that this book was all about the feelings - there's lots of action as well. If you have listened to these books in order as I have, you won't be disappointed. It's another winner for Jim Butcher's writing skills and James Marsters excellent narration, bringing this cast of characters to life. This one is like 'ol home week', as a whole cast of familiar characters gather for a showdown of sorts. New alliances are made, and Harry gets freed from old ones. Thomas almost has a leading role in this story, as he comes under suspicion for multiple murders, which made the book even better, since Thomas next to Harry is my personal favorite. It's jam packed with action from the wizards, vampires, and ghouls in a fight for top spot in the supernatural world. 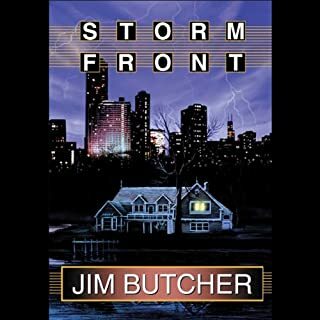 I enjoyed the Dresden Files books but started to run out of enthusiasm by the time I reached this book as the series seemed to be getting very dark and gloomy. This one has been unread on my bookshelf for a year. However the audible version has rekindled my enthusiasm. James Marsters is a fantastic reader who brings this series to life with his intelligent interpretation of characters and moods. Over this series he has reduced me to tears and had me laughing out loud. I am noticing subtleties I missed when reading as I can't skim when listening like I do when reading. This review has said little about the book and plot but you wouldn't be starting this book without knowing the others in the series, stand alone it isn't! I found the atmosphere of this one lighter by the end with a satisfying ending. The ninth book in the series, and it's still not getting old. When I return each time to this series for the next instalment, James Marsters' voice as Harry Dresden, is like reconnecting with an old friend. Harry's character is consistent from the start of this series. He's dangerous, stroppy, determined, and just generally an all round good bloke. There's enough new stuff happening with each book to stop it being even remotely samey. The magic and the supernatural world created in this series all stack easily, without being completely in-your-face or over the top. It just works. Whenever I have a long haul flight ahead of me I always have the next Dresden instalment downloaded and ready to go - it's like taking a good friend along for the journey and they're guaranteed to be good company. Actually quite enjoyed that one. Marcone does seem to be more of a philanthropist than a mob boss though. As a female of over 60 who likes real literature, I find these fantasy books very good listening. 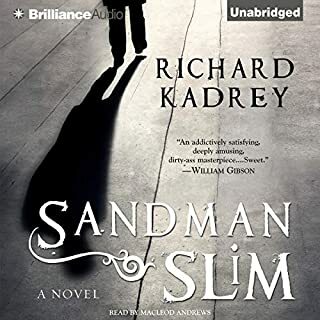 The prose is well written, the story has internal consistency, the characters develop and have a life, and the narration is absolutely excellent as well as being just right for the story. having listened to the full series to this point I would be amiss if I did not admit I am addicted. I listen when driving mostly and find myself craving my journey to and from work and become giddy if I am tasked with a job that means I have to travel to a different site. The combination of Jim's writing and James' reading is truly a perfect blend. I cannot recommend a series more than The Dresden Files!! Just really good, fantastically written and performed. Harry Dresden should be the world's favourite wizard, Potter was good but Dresden is like what might happen to him if, hold on...their both called Harry and were both orphan's.....and their both angry wizard who's dad's were normal............who cares just love these books. Oh I think I know the Gate Keeper is Potter. loved every moment. now for some space filling. doot foot doot root doot. doot foot. Good story but unfortunately parts were missing/inaudible or kept skipping that's why performance got a low Mark. Another great book. Very much into this series. Great stories, with interesting twists. Recent books have had a seemingly more brief crescendo. Still very much enjoyable. Up to Jim Butcher's usual standards. Loved James Marsters narration. A rollercoaster that doesn't let up. Decent but not as good as other DF books. Found this one to be duller than others. Ending was a bit soft but it had it's moments, solid addition to the series. I am a bit of a Jim Butcher fans but this one is a cut above his average.